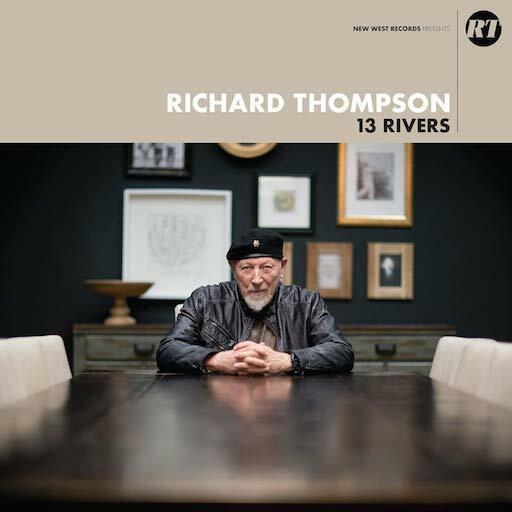 Round our house, a new album from Richard Thompson remains An. Event. This is his first album in over a decade that’s self-produced, and after three albums of his material that were re-recorded acoustically (and well-put together, rather than being stop gaps), this is a new collection of songs featuring him playing electric guitar again. There should be much rejoicing. Richard Thompson is one of the finest electric guitarists this country has ever produced, and as he continues into his sixth decade as a professional musician, he is still offering fresh ideas with the instrument. There’s a dark and bluesy feel to the record, particularly to the first half of the album. Whilst it’s not as dark as the divorce album with his ex-wife, Linda, 1982’s Shoot Out The Lights, it seems to be a rather difficult time chez Thompson. The album opens with the stunning ‘The Storm Won’t Come.’ A six-minutes long, cinematic song, the music reflects the anticipation of a storm that never seems to arrive. ‘I am longing for a storm to blow through town/Blow all these sad old buildings down.’ It’s one of the finest songs this year, and possibly the album’s highlight. It’s followed by ‘The Rattle Within‘ a percussive-lead song, which is reminiscent of Tom Waits. Interestingly, for someone whose heritage is very much English folk, this album sounds very much influenced by American blues and rock. The six songs that make up the first part of the record – two other notable highlights being ‘Her Love Was Meant For Me’ and ‘The Bones Of Gilead’- form a distinct whole. Richard Thompson will be 70 years old next April. While some artists half his age trade on past glories, clutching at straws, he demonstrates here – yet again – that his voice strong, his guitar playing is phenomenal and his songwriting is blessed with genius.